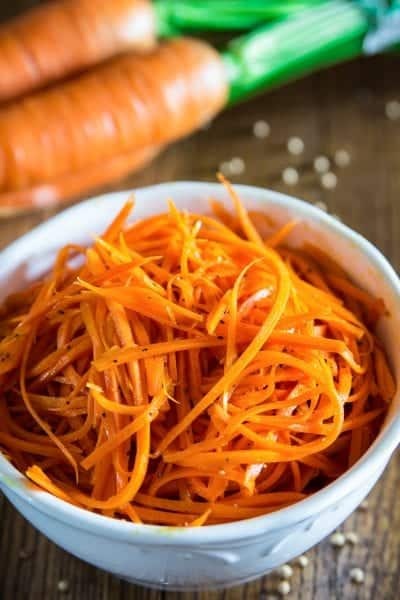 This shredded carrot salad has simple and clean ingredients that even the strictest dieters can enjoy without limits. The flavors of the garlic and coriander give this salad such an amazing fragrant flavor. Combine the salt, pepper, sugar, coriander, paprika, and cayenne in a small bowl. Shred up the peeled carrot using a mandolin. Then put the shredded carrots into a large bowl and mix it with the spices. Pour in the white vinegar and mix thoroughly. Heat the vegetable oil in a pan until it’s smoking hot. Pour it over the seasoned shredded carrots and mix it with the grated garlic. There are a few different ways to shred carrots. Mandoline– this is my preferred method for this salad because it produces long thin carrot slices. Food processor– if you don’t have a mandolin, a food processor will get the job done even faster. 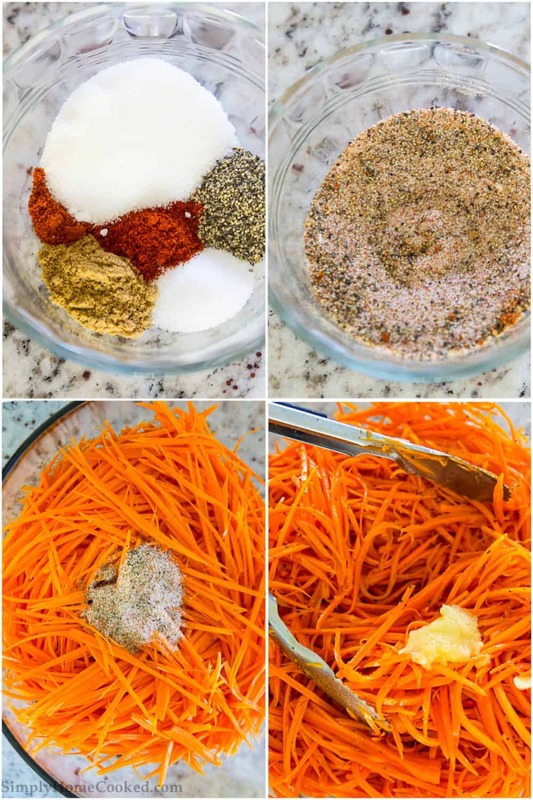 Box Grater– is the least expensive option and also works very well for this shredded carrot salad. 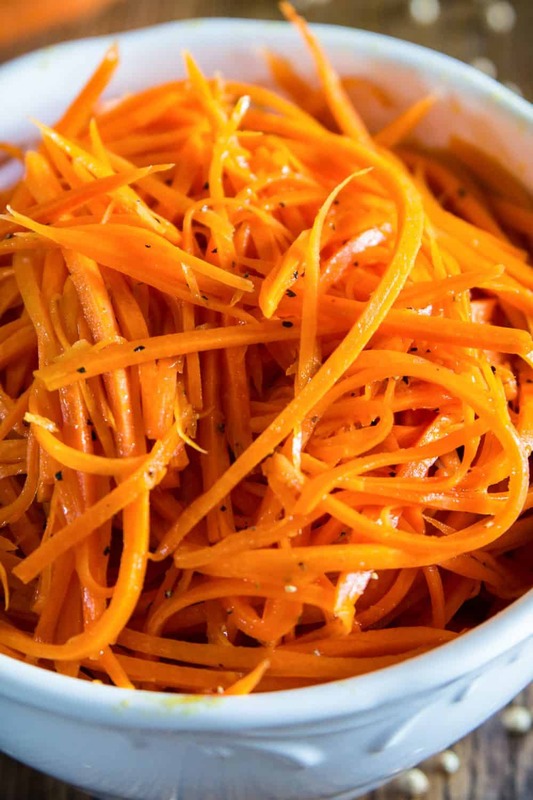 What to serve with shredded carrot salad? Since you’re already going to be shredded things, might as well serve it with another recipe that requires a little shredded. These paleo chicken zucchini fritters are a great option. We also like to serve it with this easy braised beef and some mashed potatoes. Note: This recipe was originally posted on Nov 15, 2016, we have updated it since. The flavors of the garlic and coriander give this shredded carrot salad such a wonderful flavor. It's almost hard to believe its this healthy. In a small prep bowl, combine salt, pepper, sugar, coriander, paprika, and cayenne. Shred the carrot using a mandolin. Place the shredded carrots into a large bowl and toss with the spices. Add the vinegar and mix to thoroughly coat. Heat the vegetable oil in a skillet until it's smoking hot. Pour it over the shredded carrots and toss it with the grated garlic. Best carrot salad out there! Everytime there is a big family gathering, they ask me to make this salad and it’s pretty much gone instantly! I’ve tried this method a few times during the holidays, it always turned out great. 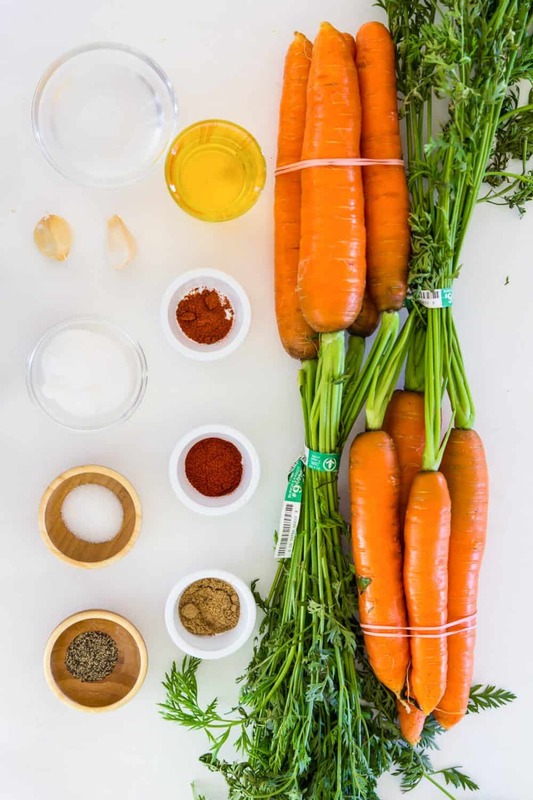 Love how carrots keep their color nice and bright with this recipe. Won’t be buying special spice packets anymore. Can you please post a pic of the mandolin you use? I am trying to find one that I would love that could do this kind of grate and also to shred cabbage, but not sure what to buy. Thank you!